Hardik Patel has announced that he will launch an indefinite hunger strike at a ground in Nikol area to press the demand of reservation for the Patidar (Patel) community from August 25. Hardik Patel announced that he will launch an indefinite hunger strike at a ground in Nikol area. 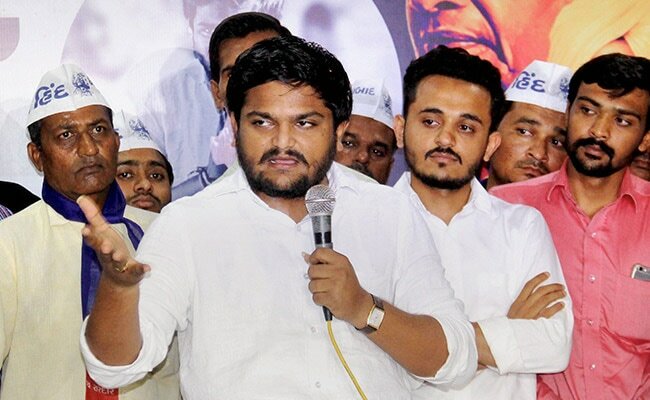 Patidar quota agitation leader Hardik Patel yesterday wrote to Gujarat Chief Minister Vijay Rupani, seeking his intervention for necessary permissions to hold an indefinite fast from August 25. The authorities have not granted police permission, nor have they allocated a ground for his protest despite repeated applications, he said in an open letter to Rupani. Mr Patel has announced that he will launch an indefinite hunger strike at a ground in Nikol area to press the demand of reservation for the Patidar (Patel) community from August 25. But the civic body has converted the ground into a parking area. over the logjam in Parliament on April 12 this year. "We have given a guarantee to the administration that the protest will not affect law and order and will be Gandhian in nature," he said. "Not granting permission and a ground for the planned protest indicates government's helplessness," Mr Patel claimed. Mr Patel had said on August 19 he and his supporters will observe a fast sitting in their cars in the parking area in Nikol if an alternative place was not made available for his August 25 gathering.